When it comes to food allergies, the big 8 allergens are significant. They are responsible for as much as 90 percent of allergies in the country. It’s easy to forget there are other culprits out there, and although they are less common, they can be just as serious for the person experiencing a reaction. Be aware of the possibilities, and if you suspect your child has an allergy but can’t pinpoint one of the big 8, see your doctor for testing of other allergens. Although uncommon, meat allergies do occur. Meat allergies are usually due to a more common food allergy. For example, a small percentage of children allergic to eggs are allergic to chicken, while some children allergic to dairy are allergic to beef. These children happen to be allergic to a certain protein that’s found in both the meat and the animal product. Because of this, some doctors recommend that children with egg or dairy allergies exercise caution around certain meats. There is one strange kind of meat allergy on the rise, and it affects both adults and children. Unlike most food allergies, this severe allergy typically causes an anaphylactic reaction to red meat that is delayed by up to six hours after exposure. After years of confusion, epidemiologists finally found the cause, a carbohydrate that attaches to red meat protein. Strangely, this meat allergy starts with a Lone Star tick bite, which sensitizes people to the red meat carbohydrate. Because the Lone Star tick only lives in Southeast regions of the U.S., this type of meat allergy typically only occurs in that region. Learn more about meat allergies here. Only 2 to 3 percent of the population is believed to be allergic to spices or seasonings. And if you think about the sheer number of different spices and herbs that are available, it’s no wonder that specific allergies to, for example, garlic, cardamom or nutmeg are so rare. There may be spices frequently used in your own kitchen or in your favorite restaurants that don’t show up in panel tests. In the event the test is inconclusive, some detective work is in order, usually in the form of an elimination diet. This requires you to start with a basic diet composed of foods that give your child no reaction at all. Then, other foods can slowly be added. Keep a detailed journal of exactly what your child eats and at what time so you can trace any reactions back to the source. Don’t forget to write down a single ingredient! If the reactions only happen at restaurants, you can usually ask the cooks for a complete ingredient list to help you pinpoint the culprit. If the cooks know it’s for the safety of one of their customers, they should be happy to oblige. Spice allergies require strict label reading and care to be taken when eating out. Even when other parents are familiar with the dangers of food allergies, many do not realize that spices can be problematic. Education and prevention is vital. Another rare food allergen is gelatin. This is a protein that comes from animal bones, cartilage and hooves. It is used in gelatin desserts, marshmallows, gummy candies and other foods. An allergy to gelatin can cause all the same kinds of symptoms of other food allergies, like itchy skin, rashes, sneezing, and even difficulty breathing and anaphylaxis. If your child has a gelatin allergy, be aware that gelatin is used in the flu shot and other vaccines. It acts as a stabilizer and is perfectly safe for most people. If your child has an allergy and needs a vaccine, make sure it is done by your allergist, but don’t use it as a reason to skip a vaccine. Sulfites aren’t really a food and don’t cause genuine allergies, but they are food additives and can cause serious reactions in some people. Allergists refer to this as a sulfite sensitivity rather than an allergy. If you are sensitive to sulfites, you may experience wheezing and asthma, or even anaphylaxis, when exposed to them. Sulfites include a range of chemicals, like sulfur dioxide and sodium bisulfite, which have been used for years as preservatives, most notably in dried fruits. They were once used to preserve fresh fruits and vegetables, but severe reactions led to a ban on them for this purpose. Sulfites are still used in dried fruits, shrimp, beer and wine, potatoes and medications. Sulfite sensitivity is more common in people with asthma. This seemingly harmless little seed can cause allergies with symptoms ranging from mild to anaphylaxis. Research has found that this allergy is on the rise, although it isn’t known whether the increase is a true rise in the incidence of the allergy or just an increased awareness. It is estimated to be an allergen for between one-tenth and two-tenths of a percent of the population. This makes sesame a rare but significant allergen. 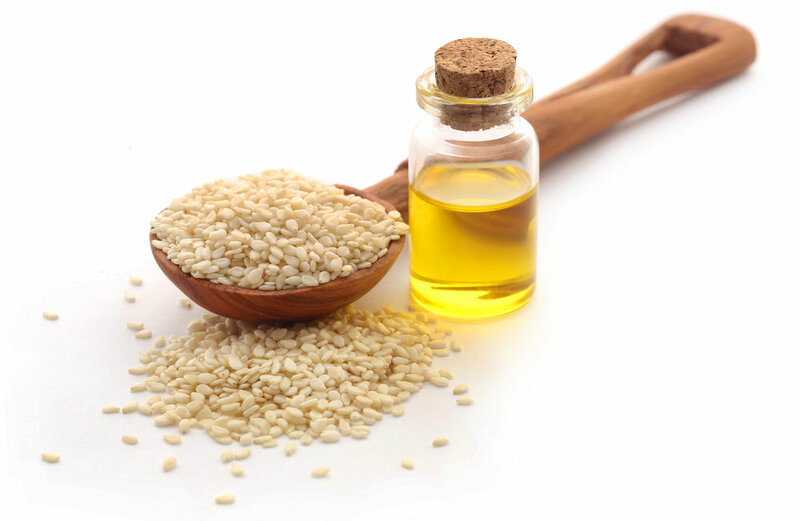 Although it’s not common as an allergen, sesame can be problematic. Like some of the big 8 allergens, it is hidden in a lot of foods. It is most common in Middle Eastern foods but is also found in many vegetarian products, salad dressings, baked goods and processed foods. Corn Allergies are not as common as wheat allergies but can be similarly problematic. Corn, like wheat, is found in a lot of different food products and is hard to avoid. If you suspect your child is allergic to corn, it may be difficult to confirm. Corn allergies are tough to differentiate from allergies to grass, pollen and other grains. An allergist can help you try an elimination diet, which is the best way to identify a corn allergy.